Taylor Morrison is the newest addition to the exceptional builder mix at Headwaters. A leading national home builder, Taylor Morrison has been recognized as America’s Most Trusted® Home Builder since 2016. With a meticulous attention to detail and focus on customer service, Taylor Morrison is making the homebuying process easier than ever at Headwaters. Taylor Morrison is offering all-new, modern, Hill Country designs at Headwaters. Homes will range in size from approximately 2,001 to 3,407 square feet with two to five bedrooms, two to four bathrooms and prices from the high $300,000s. 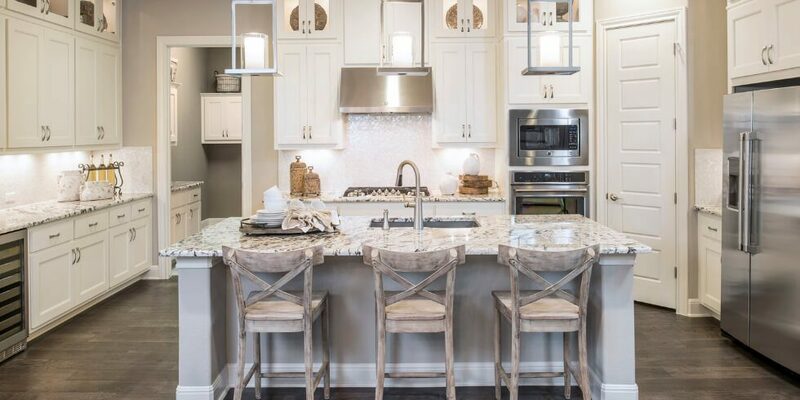 Homes by Taylor Morrison are built with all of the modern conveniences you’re looking for. Spacious gathering rooms that connect seamlessly to gourmet kitchens make entertaining easy. Newly designed owner’s suites are perfect for some quiet me-time, and innovative flex spaces give you the room you need to live life the way you want. To help you create your dream home, take a VIP-style trip to the Taylor Morrison Austin Design Studio, where you can choose from hundreds of design options to create the home of your dreams. Headwaters carefully selects each builder to bring innovative homes that enhance the neighborhood and natural surroundings. To learn more about the homes at Headwaters, join our Interest List or schedule a tour.